Your tires are an important component of your vehicle, making it vital that you have a tire repair service shop you can rely upon. But do you really understand what it is that your tires and wheels do? Yes, they serve as the point of contact between your vehicle and the road, but they are also what propels your vehicle down it. Your engine supplies the power, yet how much is needed depends upon the resistive force generated between your tire and the road surface as well as the weight of your vehicle. To drive, your engine must produce enough power to overcome this friction. That power is manifested in the rotational force of your wheels, which then uses the tires to apply it to the road surface. 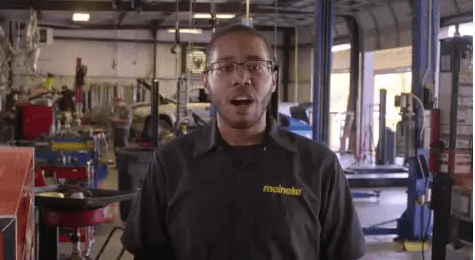 To learn more about how tires work, visit Meineke #1943 in Mclean, VA. Tires are arguably one of the most important parts of any vehicle. This is because they are what helps your car or truck cling to the road and have enough traction to safely operate. Your car only accelerates, turns and stops because your tires allow it to. Tires also play an important role in gas mileage. When they are improperly inflated they lose fuel efficiency and you end up paying more at the pump. At Meineke #1943 in Mclean, VA, we service cars while and act as a tire repair shop. Contact us for tire change service for all your vehicles. If you have older or damaged tires, you may be wondering about potential warning signs. Fortunately for drivers, many of these signs are easily observable to the naked eye. If you notice that your tires are punctured or cracked, it may be time to consider taking your vehicle to a tire change service provider. If your pressure sensor constantly gives low readings, even after you fill your tires with air or change them, your car may need to undergo tire pressure sensor replacement. Many of these issues are signs of severe damage, so call our Mclean, VA, Meineke #1943 location if you notice any of them. A flat tire leaves you stranded, pure and simple. Yet there are other reasons why you should ask yourself "Is there a good option for tire repair near me?" long before you ever get a flat. Avoiding routine tire rotations won't necessarily keep your vehicle from driving (up until excessive wear causes a flat, that is), yet it does limit their performance lifetime. Given the significant financial investment your tires represent, wouldn't you want to get the most out of them? 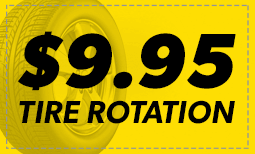 Contact us at Meineke #1943 in Mclean, VA to learn how a low tire rotation can save you hundreds of dollars in the long run. Your tires will typically give you plenty of notice that you should look into tire replacement or repair. Low tire tread is a serious problem that can only be solved through replacing the affected tire and its twin. Cracking, noticeable wear on only one side of the tire and vibration coming through the steering wheel are all indicators that you should have your tires inspected by a professional. If you do not replace your tires promptly, they could pop while you are driving. Taking your car to Meineke #1943 in Mclean, VA for a full tire inspection and tire repair is the best option for safe driving. If you are in need of new wheels or tires, searching for "flat tire repair near me," may not always give you the best results. At Meineke #1943 in Mclean, VA, we are always willing to go above and beyond to ensure that our customers receive the best service for the lowest prices. We often offer tire rotation coupons and other deals to keep tire replacement cost low. Save yourself time and money by bringing your car to Meineke #1943 the first time you are in need of repairs. Our professional technicians always take pride in their work, so you can be sure you are only getting the best possible service.